Hi there and welcome to our weekly status update hunters! This is a feature that has been on the wishlist for a looong time now! Perhaps it’s something that will also be more appreciated by our long-time players and more experienced irl hunters. The antler system is one of the most complicated features in theHunter, and also one that pretty much every player has strong opinions about. And perhaps rightly so, as the antlers is a part of the very heart of the game. In order to improve the production value (how much time and money something costs to implement), we’ve made an effort to slightly simplify the system that we use for handling non-typical antlers and have come up with a solution that made all this possible. Future additions to the range of non-typical antlers should not be as complicated and time consuming to add and modify as the typical antlers. Non-typical antlers in theHunter will not be as common as the typical ones (as they are not in reality). But they will not be nearly as rare as some of our albino and melanistic animal variations. All players should have a chance to enjoy an occasional non-typical trophy! To begin with, we have added non-typical antlers to the Whitetail Deer, and if things go as planned and this feature turns out to be appreciated we definitely intend to add more of them for other species like the Mule Deer and Blacktail, and quite possibly to any other animal for whom it makes sense. Like in real life hunting, the non-typical antlers will feature separate leaderboards, to avoid making a mess of your record trophies, and they utilize realistic scoring (Boone & Crockett), like the rest of them. 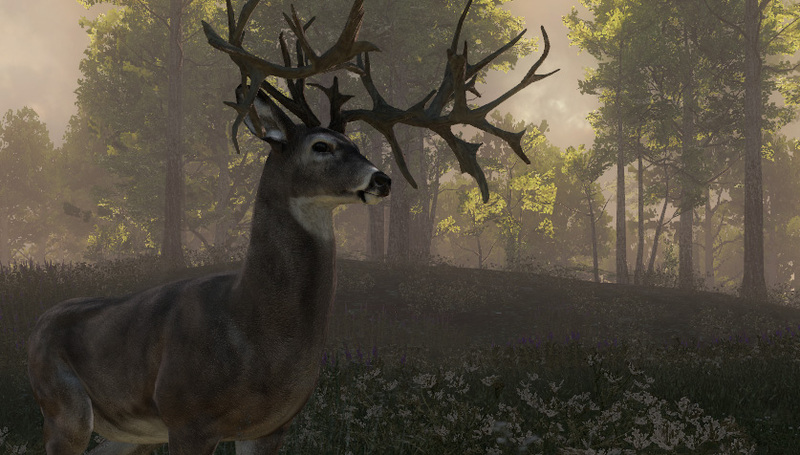 Go find some non-typical Whitetails and share your trophy shots and screenshots in this thread. Apart from non-typical antlers, today we released a pack of 10 new missions featuring the latest addition to EHR – European Rabbit. Have fun with those! 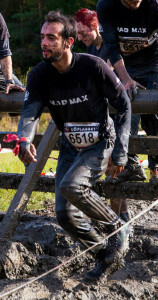 Today we’re also introducing a new member of our team – Pranav, who has recently joined our client programmer squad. I’m Pranav Tekchand and am excited to be part of the Expansive Worlds team. I’m a developer from India and have been working in the games industry there since I graduated eight years ago. I got into simple programming as a preteen when I scored an obsolete computer (a TRS-80 at a time when 286 PCs were new) at a repair shop that didn’t know what to do with it. On my next “non-obsolete” (386) machine I played a lot of games and soon got to a point where I started wondering how interesting it would be to make them. Getting internet access and seeing the first 3D games really got me focused as I got access to resources about programming games and graphics. I enjoy solving puzzles, coming up with solutions and relish the enjoyment people feel by games or tools I’ve helped with. Before moving to Sweden, I lived in the beach town of Goa and used to swim many laps in my free time. I enjoy the outdoors and sports, and was on New Delhi’s state basketball team while in high school. These days I go rock climbing with many of my friends at Expansive Worlds and Avalanche Studios. I look forward to have a part in many moments that’ll fill you with joy while playing our games! This entry was posted in Status Updates by Alena Rybik. Bookmark the permalink.